Emerald Greens and Driving Range is overlaid on Thunder Bay's McIntyre River promising of undulating fairways, and manicured greens. Our fairways are bordered with mature pine trees in a secluded forest, all within City limits. Our latest addition is our signature Island green at hole number 4 which will challenge and gratify any golfer. The Golf Course and Driving Range was acquired by the Watson Family in 2004. Their Family Values mandated an objective to ensure that Emerald Greens is an affordable and enjoyable place to golf for everyone. We have built a Must play challenging Island Green. We cater to all golfing levels. We were voted as Thunder Bay Area's Favorite Place twice in 2009 and 2010! Our focus is Customer Service and ensuring our customers enjoy their experience to the fullest. 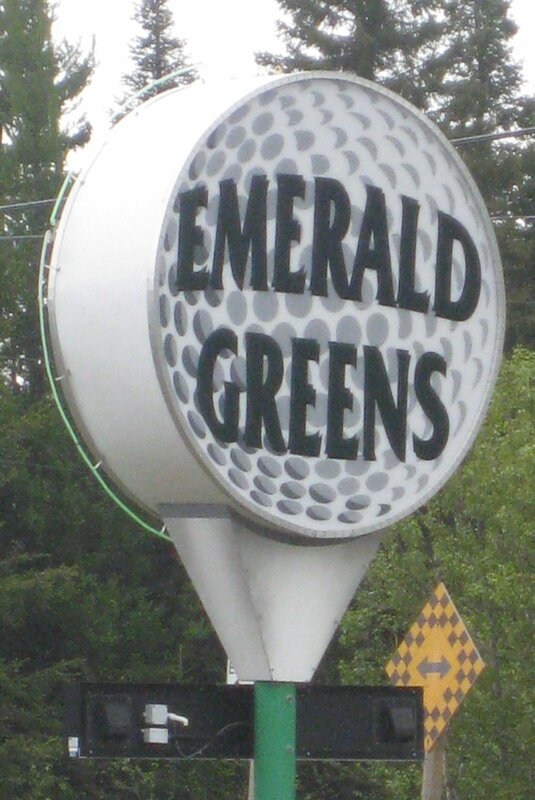 Emerald Greens Staff welcomes you to our course and looks forward to the opportunity to serve you! Driving Range and 9 Hole Course, with two distinct sets of tee blocks on each hole which, instantaneously transforms our majestic layout into a true game of 18 holes of golf. Our Golf Course and Driving Range is Open to the Public. The facilities include an outdoor patio that is all fully licensed. We also, offer an operating restaurant and in house catering service for scheduled tournaments.